Montgomery College Television Montgomery College Television	 Conference included a variety of speakers, discussion sessions and culminated with a keynote presentation by "Democracy Now!" Executive Producer & Host, Amy Goodman. Embed "MAWSA 2010 Conference - Participant comments" on your page. This video includes opening comments by U.S. Rep. Donna Edwards and planary panel presentations by Nora Coffey, Carolyn Cook and Sunsara Taylor. Embed "MAWSA 2010 Conference - Morning sessions" on your page. 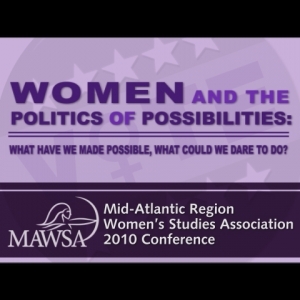 Embed "MAWSA 2010 Conference - Keynote Address" on your page.